Local author Cordelia Frances Biddle said that the parlor of Germantown’s Victorian-era Ebenezer Maxwell Mansion may be the best place for Philadelphians to understand the life of their own St. Katharine Drexel. Biddle’s first biography, “Saint Katharine — The Life of Katharine Drexel,” was released earlier this month by Yardley-based Westholme Publishing. Biddle, herself a relation of Drexel, is coming to the Mansion on Saturday to talk about her new book. Visitors to the rooms of Maxwell Mansion, which are like the ones in which Drexel grew up, will get a clear sense of why her life was so extraordinary. In her late twenties, Drexel inherited a fortune from her father that was equal to hundreds of millions in today’s dollars. Her devout Catholic family had always been notable philanthropists, but Drexel struggled with the question of whether she could do more. In the course of researching and writing the biography, Biddle pored over a trove of letters and journal entries from Drexel as the heiress weighed her desire to take religious orders against the comfortable brand of charity her family had always practiced. Between 1887, when Drexel and her sisters received a private audience with Pope Leo XIII to discuss their support of schools in impoverished Native American communities, and 1889, when Drexel began her postulancy in Pittsburgh, she agonized over the socially scandalous decision to give her life and inheritance to a career within the church. Piecing Drexel’s early religious journey together, the writer herself said she “was really in tears and tortured” by the depth of the young woman’s soul-searching. 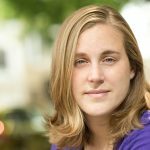 “It really was as if I was writing a novel and didn’t know the outcome,” she said. After taking her vows, Drexel founded the Sisters of the Blessed Sacrament in 1891 in Bensalem. The group is still active today. Her lifelong mission was education for some of the most disenfranchised people in late 19th and early 20th century America: Native Americans and African Americans. Founding missions and schools across the country, Drexel and her Sisters often faced cruel and frightening opposition. When she was in the process of purchasing land that would become part of the historically black Xavier University of Louisiana, Drexel got a letter from the so-called “ladies” of New Orleans. Biddle didn’t want to sweep this history under the rug. That decision led her to research the Ku Klux Klan of the era, including a “chilling, chilling, chilling” speech to the Texas Bar Association in 1906 by a man who would become President Woodrow Wilson’s attorney general. Drexel died in 1955 in Bensalem and, with her canonization in 2000, became one of just a few American-born Catholic saints. Biddle, who is not Catholic herself, didn’t undertake the biography to extol Drexel’s religious life. “What I didn’t want to write was a hagiography,” she said. Although she was inspired to write the biography after attending Drexel’s canonization, Biddle “didn’t feel that I was capable of entering into her psyche.” So, she didn’t begin to research and write in earnest until several years later. Biddle noted that unlike many of Drexel’s contemporaries, education — not converting students to the Catholic Church — was Drexel’s primary mission. “It really was about faith in human beings, rather than a certain way of worshipping,” the author concluded. 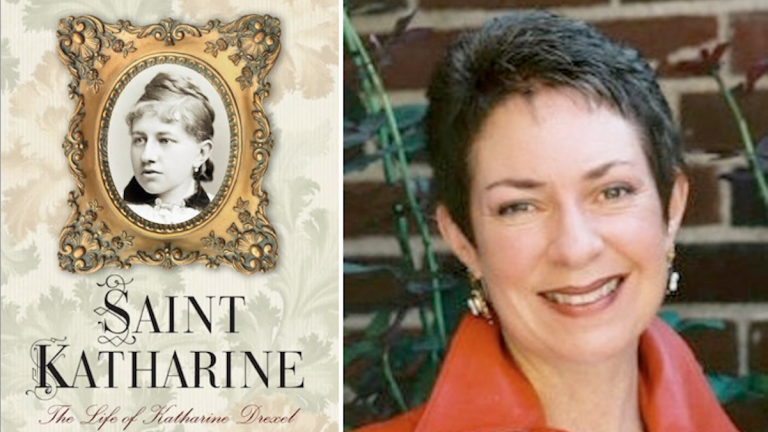 Cordelia Frances Biddle, author of “Saint Katharine — The Life of Katharine Drexel,” will give a special lecture and book-signing at 2 p.m. Saturday at Ebenezer Maxwell Mansion ($25, $20 for Mansion members). For more information or to buy tickets, call (215) 438-1861, or visit the Mansion online.